I saw this photo floating around and I just HAD to share. I have looked at all the instructions and it looks like it is a bit time-consuming, but your photography friend will love it! 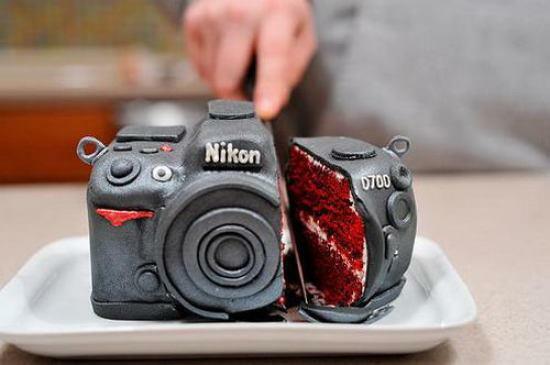 Here is a photo and the link for instructions on how to make the Nikon cake. Yummy! !